Cobra After-Sales provides a wide variety of support, including assistance from your local dealer, such as servicing, repairs and maintenance support. Our comprehensive warranty covers you in the unlikely event that your machine requires repair due to a manufacturing defect. The Cobra Authorised dealer is obliged under this warranty to repair or replace defective parts found during the machines warranty period. This repair will be free of charge for materials and labour only. This warranty will not cover wear and tear parts such as blades, spark plugs, filters, drive belts, cables etc. An immense amount of design, engineering and expertise ensures that every new Cobra machine delivers the Cobra philosophy. Cobra Garden’s philosophy is to remain true to their trusted values of Innovation, Quality, Reliability, Value and Customer Service. Cobra Garden work hard to ensure that we offer Products and Services that continue to be relevant to our customers. In the event of your machine needing warranty repair please note the following. All Cobra products in the current Cobra portfolio are covered for a period of 2 years* from the date of purchase to the original purchaser. This applies when used for the designed purpose of that product by domestic users. 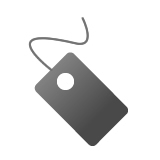 used for the designed purpose of that product by semi-professional and professional users. purchaser. This applies when used for the designed purpose of that product by domestic users. purchaser. This applies when used for the designed purpose of that product by semi-professional and professional users. If your product fails due to a defect in materials or workmanship within the warranty period it will be repaired or replaced at no charge providing that the repairs are carried out by an approved Cobra dealer. Delivery and collection of the machine is your responsibility and not covered by the warranty. Items should be received in a good condition, with all component parts and manuals, along with any promotional items received. You should also include your invoice and returns form. Note: Please ensure all petrol driven products are drained of fuel and oil, due to the road transport regulation. Note: If no fault is found with the product, the product will be returned and a handling charge of a minimum of £30.00 will apply. It is important to have your machinery properly maintained and serviced. There are specific service intervals for your machinery. It is your responsibility to ensure that this is done. Failure to carry out the required maintenance could result in your warranty being invalidated. Please refer to your owner’s manual for service intervals and maintenance requirements. We have a comprehensive dealer network with over 400 servicing dealers. 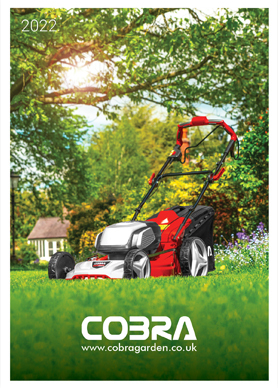 Please visit www.cobragarden.co.uk to find your nearest dealer, who would only be too happy to help you with any of your enquiries.